After viewing some of the ads from throughout the twentieth century it’s hard to imagine what they were thinking even though it was so very long ago. One thing is for sure: it’s fascinating to see how parenting and the perception of it has changed throughout the years. Check these ads out. They are crazy as hell. 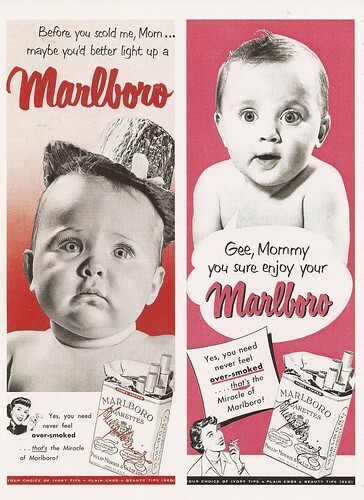 20 Mind-Blowing Vintage Ads Involving Children. It's what I'm babbling about today.